What Frosting Goes Well With Angel Food Cupcakes? Brownies should be made using granulated sugar or brown sugar, not confectioner's sugar. 4 What Frosting Goes Well With Angel Food Cupcakes? Brownies are a classic American snack that can be as plain or fancy as you can imagine. 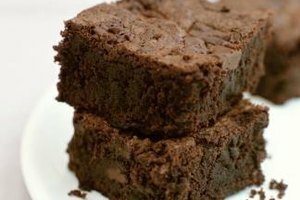 Some like their brownies dense and fudge-like, while others prefer them to have a texture closer to cake. While the thought of moist, chocolate brownies cooling on the countertop may tempt you to make them with powdered sugar if you're running low on granulated sugar, this substitution will not give you the brownies you're craving. Confectioner's sugar, also known as powdered sugar, is granulated sugar that has been pulverized into a powdery consistency and mixed with a small amount of cornstarch to prevent caking, lumping and crystallization. Because confectioner's sugar has a much finer texture than granulated sugar, it will reduce the volume of brownies and increase their density. The cornstarch in confectioner's sugar can also have unpredictable effects on the brownies. Although you shouldn't make brownies with confectioner's sugar, it can be a baking ingredient in other products. Many shortbread recipes, for example, call for confectioner's sugar instead of granulated sugar to produce the fine, crumbly texture for which the cookies are known. Most home bakers use confectioner's sugar to make icings, frostings, glazes and whipped toppings. It is often sprinkled on top of cookies, unfrosted cakes and brownies as a garnish. Because its fine texture allows it to easily and quickly dissolve, confectioner's sugar is also frequently used to sweeten cocktails. Most brownie recipes call for granulated sugar, also called table sugar. Brown sugar is also a possible addition to brownie batter if you want to add a deep flavor with a hint of molasses. Substitute brown sugar for the granulated sugar in a brownie recipe using a one-to-one ratio. Sprinkle confectioner's sugar over cooked, cooled brownies to add a touch of sophistication. Allow the brownies to cool before sprinkling on the powdered sugar, or the heat will melt the sugar into a sticky, unattractive crust. Spoon approximately 1/2 cup confectioner's sugar into a fine-meshed sieve and gently shake it over the pan of brownies to add a light, even layer of white dust. Alternatively, place a large doily in the middle of the pan and sprinkle the confectioner's sugar on top of it, making sure you cover all the holes with a light layer of sugar. 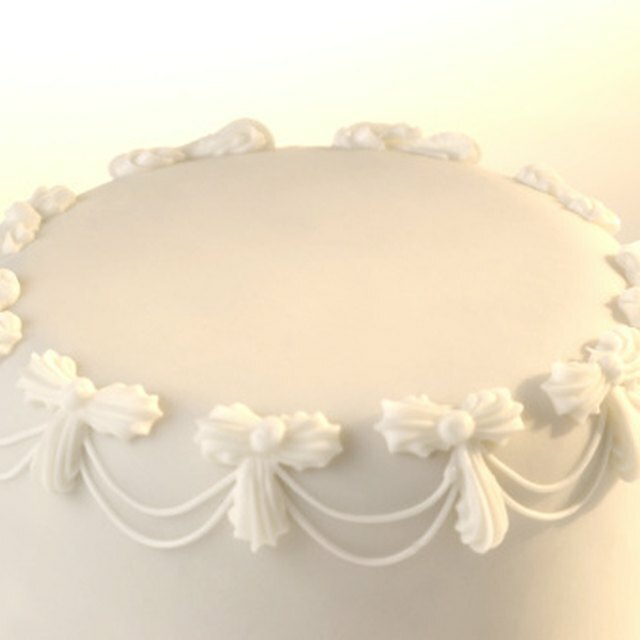 Grip the doily at the edges and carefully lift it straight up to reveal a pretty white pattern of confectioner's sugar. What Can You Use Instead of Powered Sugar for Frosting? What Will Happen if You Refrigerate Fondant? Can Softened Frosting Harden Over a Cake?